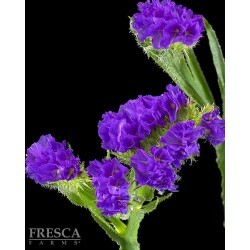 Purple FLORIGENE Carnations "Moon Series"
Florigene Mini Carnations "Moon Series"
Statice There are 3 products. 10 Stems per Bunch. 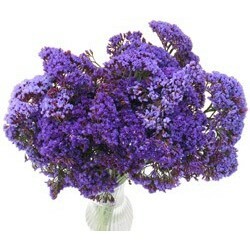 Color: Growers Assortment of purple, white, lavender and/or yellow. 10 Stems per Bunch. Color: Purple. 10 stems per bunch. Length: approx 50cm.